PLEASE HELP BRING BABA TO BLANCO! The Paramashiva Healing Center is now based on 40 acres of pristine land in the Texas Hill Country to serve as a place to offer spiritual teachings, healings, and retreats. It is with clear guidance and great joy that the first project on this land will be to create a temple to Shirdi Sai Baba. To make this dream come true our brother, Don Jose Ruiz, has lovingly donated his beautiful Baba murthi (statue). This Baba statue is amazing. Usually a Baba murthi will be a carving of Baba sitting on a rock. This statue however also includes Baba's Simhasana (throne seat with Lions as armrests). The entire statue is carved from a single piece of marble. His features are graceful and standing in front of this huge murthi is a powerful experience. This statue has been on Don Jose's land in the foothills east of San Diego for over a decade and during that time he has witnessed many incredible events around Him. One day after visiting friends in the country outside of Austin, Kayla and I realized we wanted to get a piece of raw land and create what Sri Kaleshwar called a Soul Hospital — a place where Divine energies are created and cultivated for the benefit of spiritual healing and enlightenment. As we were realizing we both had the same inspiration, Don Jose called. When I shared with him that he called during a peak moment where we had just come to this decision he was so happy. Two minutes later he called back and said when we get the land he wanted to offer his Baba to be installed there to "bless many people." We all took this as a sign from Baba that he wanted this to happen, as we all recognized Baba's invisible guiding hand. We now need your help to make this dream a reality. The land has been purchased and converted to Wildlife status to keep it natural and peaceful and the time has come to Bring Baba to Blanco! The first step is to ship Baba (over 8,000 lbs!!) from California to Blanco, TX and to build an outdoor temple. Shipping this huge, single piece of marble is a big undertaking in itself. Before he arrives we need to pour a concrete footing and create an elevated platform where his statue will be installed. Once he has been installed we will erect a three-sided enclosure with a roof to protect him from the elements and allow visitors to spend time with him peacefully. Eventually this three sided enclosure will become a part of an entirely enclosed temple. We need your help to raise $45,000 to complete the first phase of temple construction and to bring this incredible Baba statue to Blanco. Please help us in fulfilling this dharma by donating today! Flow the blessings to your soul for an entire year. Your name will be read aloud for the fulfillment of a specified desire every New and Full moon fire puja. Your name, or the name of someone you choose, will be permanently displayed on a plaque hanging on the Baba Temple. Keep the blessings flowing to your soul. Your name will be read aloud for the fulfillment of a specified desire every New and Full moon fire puja for five full years. Your name, or the name of someone you choose, will be permanently displayed on a plaque hanging on the Baba Temple. Continually generate high divine vibrations and fulfill desires. You will receive a copper Sri Chakra yantra which has been charged for the fulfillment of a specific desire during a special fire puja process. You will also receive detailed instructions on how to care for and use your new power object. In addition to the Sri Chakra Yantra, your name will be read aloud for the fulfillment of a specified desire every New and Full moon fire puja. Your name, or the name of someone you choose, will be permanently displayed on a plaque hanging in the Baba Temple. The energy angels of the Sudarshana Yantra can cut off any negativity. You will receive a copper Sudarshana Yantra to create the greatest protection circles wherever it is installed. This yantra will be charged during a special fire puja process. You will also receive detailed instructions on how to care for and use your new power object. In addition to the Sudarshana Yantra, your name will be read aloud for the fulfillment of a specified desire every New and Full moon fire puja. Your name, or the name of someone you choose, will be permanently displayed on a plaque hanging in the Baba Temple. The Brahma Kundalini Nadi Yantra awakens the kundalini energy and focuses it on the Brahma Nadi, the chakra in our bodies through which we experience the Brahma or God consciousness. The goal of spirituality is Aham Brahmasmi, or to recognize we are God and that God exists in all things. This is called Brahma consciousness. 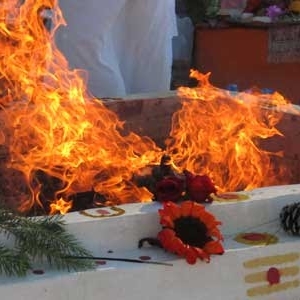 In addition to the Brahma Kundalini Nadi Yantra, your name will be read aloud for the fulfillment of a specified desire every New and Full moon fire puja. Your name, or the name of someone you choose, will be permanently displayed on a plaque hanging in the Baba Temple. Mother Divine operates the entire creation through the Sri Chakra. Constantly generate divine vibrations and balance the energies in your home. You will receive a pure Himalayan crystal Sri Chakra that has been created as a power object through a special process in the Ganges river during a sunrise ceremony . 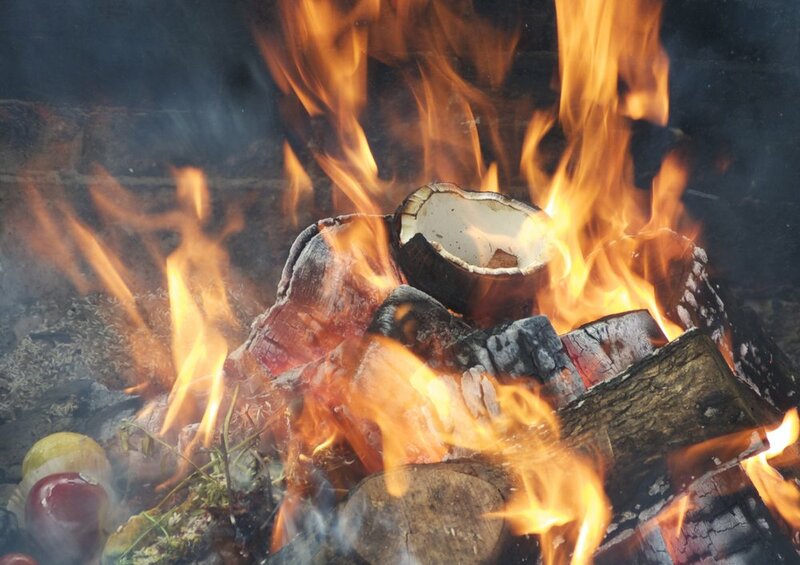 It is then further charged with a sacred fire ceremony. You will also receive a framed Copper Sri Chakra Yantra charged during a powerful fire puja as well as detailed instructions on how to care for and operate your personal power object. In addition, your name will be read aloud for the fulfillment of a specified desire every New and Full moon fire puja. Your name, or the name of someone you choose, will be permanently displayed on a plaque hanging in the Baba Temple. The most powerful object in the universe is a Shiva Lingam. You will receive a large, pure Himalayan crystal Shiva Lingam that has been created as a power object through a special process in the Ganges river during a sunrise ceremony. It is then further charged with a sacred fire ceremony.